Weatherly drove 18 hours one way from Columbia, South Carolina to pick up her 2 place canoe trailer. She choose to add twin ramps, rope rings, LED lights and a custom removable front tailgate on her canoe trailer. She will be able to haul her canoes when needed or remove the racks and haul her riding lawnmowers when she wants too also. She loved the idea that the canoe trailer is all dipped galvanized to last her a lifetime of pulling. She drove over 2400 miles to pick up her canoe trailer. Yes that’s correct….2400 miles!!!! 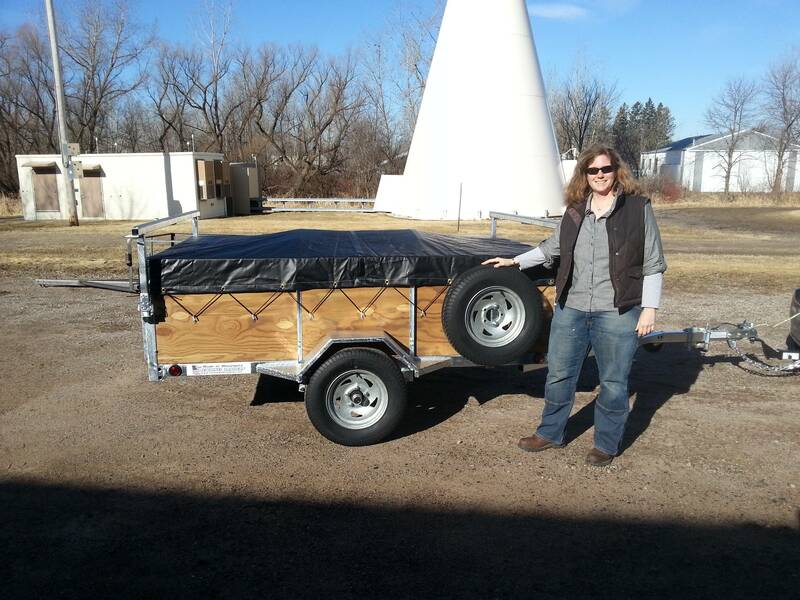 We take pride in building a quality product and we thank Weatherly for driving 2400 miles to pick up her Remackel Canoe Trailer. This South Carolina Canoe Trailer is bound for many years!